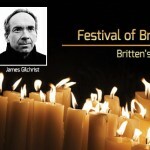 Once again we join Bristol Choral Society in a major collaboration, as part of a festival to celebrate the centenary of Benjamin Britten’s birth. The 1962 premiere of this work at the re-dedication of Coventry Cathedral, itself badly damaged during the Second World War, was one of the major musical events of the second half of the twentieth century. It has not lost any of its impact or relevance in the following sixty years. Wilfred Owen’s harrowing war poetry, juxtaposed with the text from the Latin Requiem Mass, serves as a grim reminder that 2013 marks 99 years since the start of the First World War. 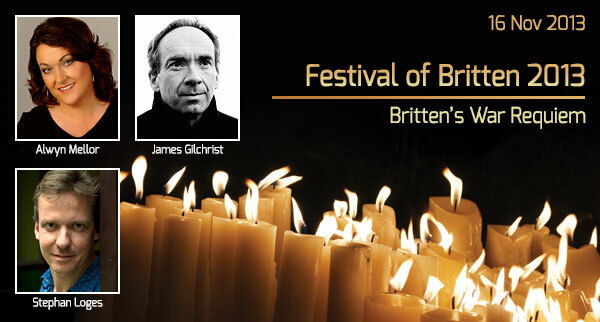 We offer the performances as our memorial to a great British composer and to the victims of war everywhere. There will be a second performance of this piece in Bristol Colston Hall on Saturday 23rd November 2013. Tickets for that performance can be booked via the Bristol Choral Society website. N.B. In addition to Britten’s stunning War Requiem, there will be the first performance anywhere in the world of a piece for boys’ choir by the noted German composer, Torsten Rasch. The short work is entitled Here Dead We Lie and was a gift to one of our members, Anwen Walker, in recognition of her help in the commissioning of a major work by Torsten for the 2014 Three Choirs Festival in Worcester on the subject of war and reconciliation. We are grateful to her that she has given us the honour of performing the work for the first time. This will add greatly to an already thrilling prospect for our November concert.